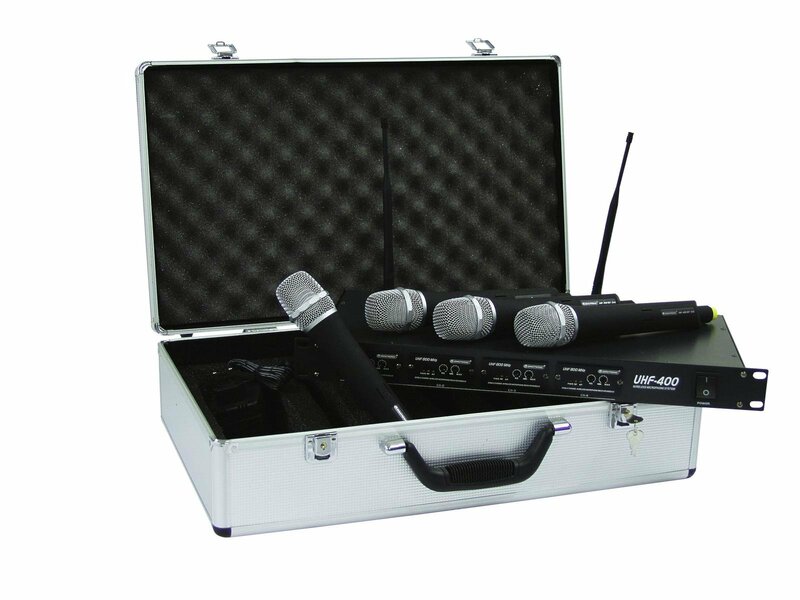 Set yourself free, break the chaines of tight confining cables and be happy wireless. 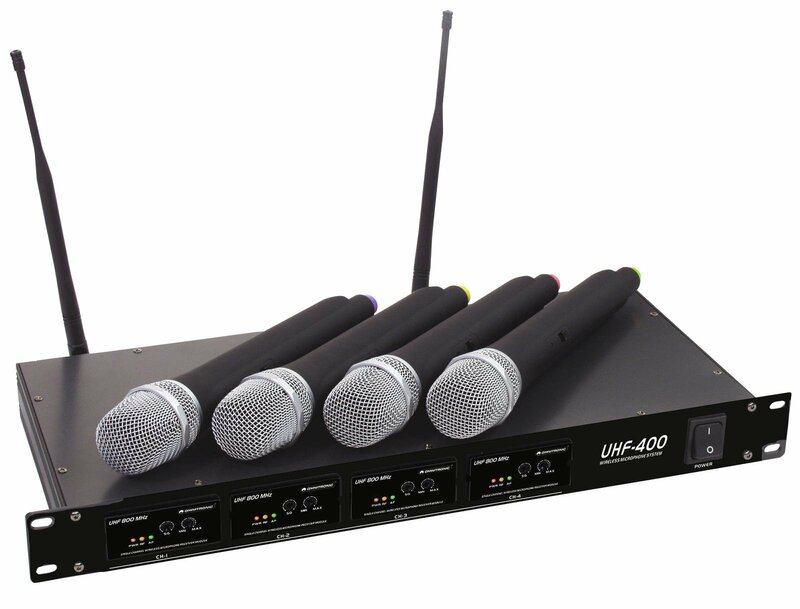 With our OMNITRONIC UHF-400 wireless mic system you will get the one time opportunity. It convinces through a high level manufacture, its consolidated appearance and its classic simple design, which intentionally sets itself aside from nonessential squiggle. 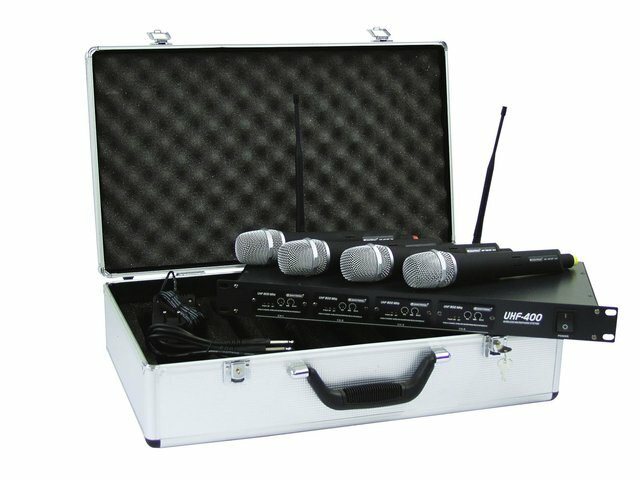 Equipped with 4 hand microphones in cardiodid characteristic, with a fixed channel reception and transmitter unit. 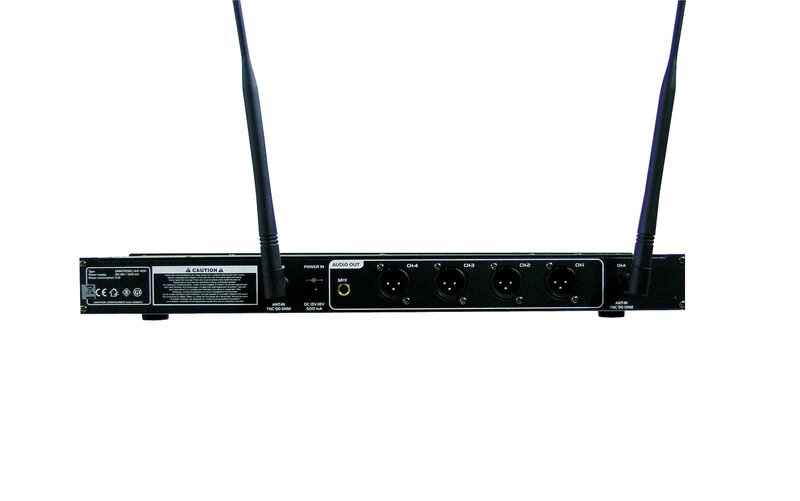 At the same time, the 4 channels can be used simultaneously at fixed frequences. 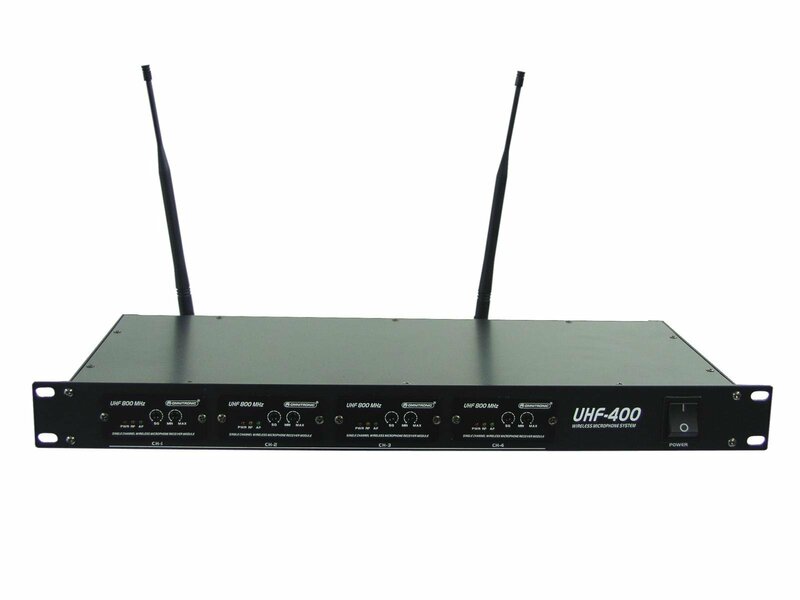 One thing is for sure, the UHF-400 invites you to go surfing on the radio waves.